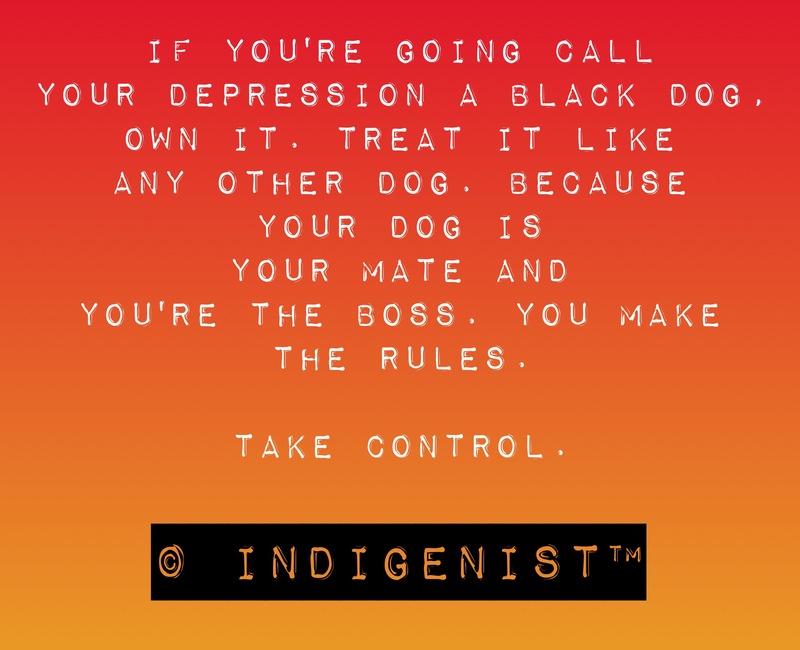 When oppression is underlying cause of mental health unrest in Indigenous people we need to name it a mental injury, not an illness. It’s not something that was caught or a disease. It’s something that has happened. Eradicating oppression is the first step to the eradication mental injury and mental health unrest. Eradicating oppression is suicide prevention. Categories: Dameyon Bonson, Decolonisation, Indigenist, Indigenous Suicide Prevention, Mental Health | Permalink. Indigenous evaluation, as the ontological and epistemological expression of the lived reality of Indigenous peoples, as theory and as practice, is however, increasingly being recognised as a legitimate discipline in its own right. Just an FYI there is no Indigenous Evaluation Standard that is recognised. So how did programs get assessed to be cut and by what measure. How do I know this? I was at the Australasian Evaluation Society Pre-Conference “Evaluation by us, for us” Workshop in Darwin (Sept14) work shopping how one would look. “Health promotional programs for Indigenous, particularly those that are Government – State or Federal – have no actual Indigenous evaluation tools or methodology,” said Mr Bonson. So unless a program has an Indigenous evidenced based built in evaluation that is specifically for Indigenous improvements in school attendance, Indigenous retention rates and NAPLAN (literacy and numeracy) or to decrease Indigenous incarceration rates, recidivism, police call-outs and crime or increase the % of Indigenous adults employed in a real job (what is a real job anyway – truck driving in a mine ?). You have no basis to judge the outcome of such programs that is relevant to Indigenous people. You can’t measure the length of a road with by the gallon. So you can not measure the success of an Indigenous program based on non-Indigenous evaluations – that’s why the data doesn’t show the gap closing during the operation of the program. “Evaluation by us, for us” : What is required of AES to strengthen, advance and support Indigenous Evaluation? – A workshop for Indigenous participants was presented by Amohia Boulton; Whakauae Research for Māori Health and Development; New Zealand. Amohia Boulton; Whakauae Research for Māori Health and Development; New Zealand – The AES Constitution currently makes no mention of the unique place Indigenous peoples have in the make-up of societies in and around the Pacific, including Australia and New Zealand. Indigenous evaluation, as the ontological and epistemological expression of the lived reality of Indigenous peoples, as theory and as practice, is however, increasingly being recognised as a legitimate discipline in its own right. Furthermore, Indigenous evaluation – evaluation undertaken by Indigenous peoples for Indigenous peoples – is being demanded by Indigenous communities who are often in receipt of services and programmes developed without their input or consultation. Indigenous evaluation is regarded by these communities therefore, as an emancipatory and transformative force. Categories: Articles of Interest, Dameyon Bonson, Indigenist, Indigenous, Indigenous Suicide Prevention | Permalink. Indigensit, Indigenism and Indigenizing defined. 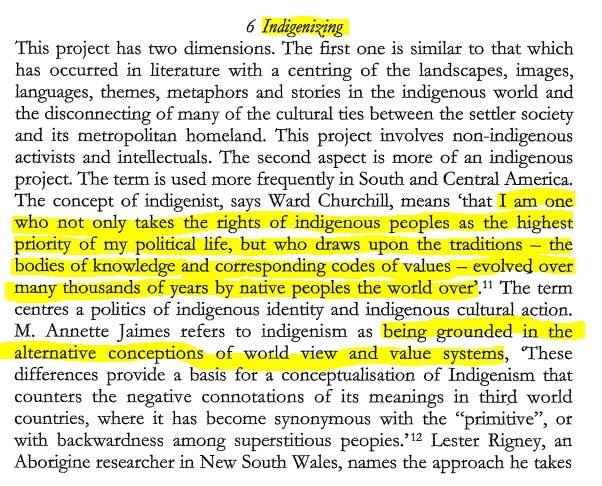 Decolonizing Methodologies: Research and Indigenous Peoples by Linda Tuhiwai Smith pg 147. Categories: Dameyon Bonson, Decolonisation, Indigenist | Permalink. Canadian Programs designed to assist Aboriginal people who are caught in the cycle of violence. The In Search of Your Warrior program (men), Spirit of A Warrior Program (women) and the TAPWE Youth Warrior Program (youth) were designed by Native Counselling Services of Alberta, to assist Aboriginal people who are caught in the cycle of violence. The Warrior programs usually requires 30 days to complete, based upon a six-hour program day. The programs are founded on the basic principles of Natural Law (caring, kindness, respect, love and self-determination), which are learned through ceremony and ritual. The Warrior Program is delivered by two trained facilitators, under the guidance and with the participation of an Elder; the typical group size is 10 – 14 participants. To assist Aboriginal people to better understand their personal intergenerational cycle of violent behaviour. This includes: defining family violence; identifying the roots of their violent behaviour; considering the family/community context within which violence occurs; addressing feelings of vulnerability related to their experiences of victimization; and distinguishing between anger and rage. To build knowledge and skills that will reduce and eventually eliminate violent behaviour in program participants. To facilitate the participants’ connection and commitment to their life-long healing journey. The ISOYW program is founded in holistic Aboriginal philosophy: the belief that all things are connected and that for sustainable change to occur, an individual must engage the physical, mental, emotional and spiritual aspects of self in the changing/learning/healing process. The program process includes activities and sessions that provide opportunities for such holistic learning. The process also includes daily ritual, frequent ceremony (chosen and led by the Elder), and sessions that encourage participants to explore core issues that underlie violent behaviour, such as their childhood experiences of violence, grief and loss, shame, trauma, childhood neglect and abandonment, as well as triggers for violent behaviour. Further, the participants learn about the intergenerational effects of colonization on the Aboriginal individual, family and community. In this process, the participant identifies his own cycle of violence and then can develop skills that will enable him to live a non-violent lifestyle. The Warrior Programs employ a highly kinaesthetic and experiential learning process. The Warrior Program sessions employ the rules and process of the sharing circle. · the ability to motivate participants to engage in their healing journey. Native Counselling Services of Alberta retains full responsibility for the Warrior programs; to this end we provide certification for people who have completed the program (Participant Certification), for those who successfully complete the facilitators training (Facilitator Certification) and for those who are responsible for the training of facilitators (Trainer Certification). NCSA can send facilitators to an organization or community to provide the Warrior programs. We work with the organization to recruit appropriate program participants, choose program location, ensure all necessary program resources are available, prepare community Elders to be a part of the program and provide the Certification of Program Completion for participants who successfully complete. NCSA can help communities and organizations build capacity to facilitate the Warrior programs regularly for their membership or clientele. NCSA will help the organizations choose appropriate facilitator trainees, choose the training location, ensure all resources are available for the training and provide the Facilitator Certificates for the trainees that successfully complete training. Categories: All Men, Canada, Indigenist, Masculinity, Men's Health, Mental Health | Permalink. Decolonise Journalism with a little perspective or just don’t be racist in your writings. Pick one. A little perspective when Aboriginal (Black) Violence against children is raised. Categories: Articles of Interest, Dameyon Bonson, Indigenist, Indigenous | Permalink. Categories: Dameyon Bonson, Indigenist, Men's Health, Mental Health, Suicide | Permalink. I’ve been working in health and human service provision for a while now. The last three years I’ve been working across the North-West of Australia, the Kimberely. I travelled 35,000km in my first 18 months delivering upstream suicide prevention, conversation and consultation and the Aboriginal Mental Health First Aid. During my career if there is one thing that bugs me is the problematising of men. It has been so ingrained that “men don’t talk”, most people aren’t even listening. Least of all listen with the intent to understand. 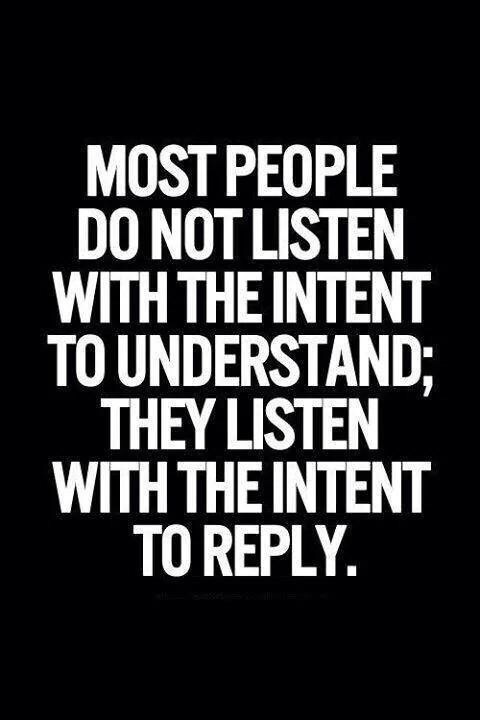 Most often they are listening with the intent to reply or to “fix”. Men account for three out of every five deaths by suicide, making suicide the 10th leading cause of death for males. In Australia, for those of Aboriginal and Torres Strait Islander descent, the suicide rate is 2.5 times higher. In the UK Suicide is the biggest killer of men under 50. If men aren’t accessing your mental health service and they really should be (see stats above) you’re not doing it right. You’re a hard to reach service. Period. It was recently passed onto me the teachings of Davey Lawrence an Aboriginal Elder of the Girramay peoples; “you have to listen to what a person does – not what they say”. I reckon that’s pretty sound advice. Here’s what I suggest you do. Watch men. Watch how they are behaving. See their emotions in their behaviours. Listen to men. Listen to what they are saying, not what you are wanting or expecting to them to say. Ask men if things are ok. If you’ve gotten to this step there’s a pretty good chance that something is up. In their response whether it is yes or no, watch and listen to what they say. If they’ve said yes, let them guide you on how you can best support them. Now this isn’t literal. Verbal communication isn’t the only way men communicate. So trust yourself and your instincts. If you’re wrong there is a good chance you’ll be told. If they say no, that nothing is up still trust your instincts. Because if you’ve been watching and listening you’re going to be pretty much on the money. So continue to Watch, Listen and Ask. The most important thing for anyone is to know you don’t have to through it alone. Men are no different. Categories: #WSPD, Dameyon Bonson, Indigenist, Masculinity, Mates, Men's Health, Mental Health, Suicide | Permalink.